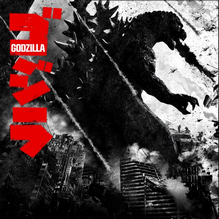 Godzilla was delisted from the North American and European PlayStation Stores for PlayStation 3 and PlayStation 4 in late 2017. Forum posts from late December confirm the game was delisted by that point. One reddit commenter stated the digital version of the game was on sale during Black Friday but the last confirmed availability we could find was during a North American PSN Flash Sale that ended February 20th, 2017. In Europe, the game was on sale through December 1st, 2017. Given the European sale date and that questions didn’t arise about the game’s availability until late in 2017, it is assumed the delisting took place in December for Australia, Europe, and North America. The delisting was likely due to expired licensing between Namco and the owners of the Godzilla property, Toho Company Ltd. Both versions of the game for PlayStation 3 and PlayStation 4 remain available to download in Japan (as Godzilla Vs on PlayStation 4). In Australia, Europe, and North America the game remains available on physical media on both consoles, except in North America where the PlayStation 3 version was released exclusively to download. Mission Mode – Crush your through over 20 stages of mayhem! Diorama Mode – Build the Godzilla scene of your dreams! Online VS. Multiplayer – Play as any monster and battle online!